While the rest of the country gears up for heating season, we have just a bit more warm weather before the days start to really get cold. While you’re using your air conditioner these last few weeks, remember to keep your eyes open for any and all signs that the system is in trouble. You don’t want to have to deal with a full air conditioning breakdown right at the end of the summer, do you? That’s why it’s best that you catch any developing problems as early as possible so they can be repaired. Before Cooling Season Ends, Make Sure You Get Your Air Conditioner Repaired! The heating season isn’t going to start for us for a little while, unlike most of the rest of the country. That means that you’re still going to be using your air conditioner for at least a few more weeks. There is still a chance that your air conditioner will end up with some sort of problem before summer ends, which means you need to be on the lookout for any and all signs that something is wrong with the system. 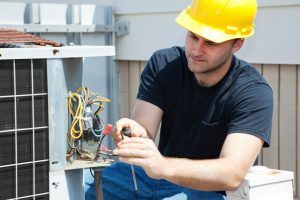 Have a look at some of the most common signs that your air conditioner is in need of repairs below. Posted in Air Conditioning | Comments Off on Before Cooling Season Ends, Make Sure You Get Your Air Conditioner Repaired! Air conditioner ice may seem like a good thing on a boiling hot day, but it really isn’t. It means your air conditioner is dealing with a serious problem. If you’re not careful, air conditioner ice can eventually cause the entire system to break down. We recommend that you call for repairs as soon as you notice that your system is freezing over. 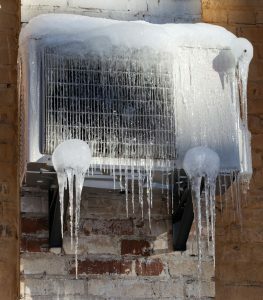 While you’re waiting for your technician to arrive, though, check out the 5 reasons why your air conditioner may be frozen.